Greenwood Labradors is located in the beautiful rolling hills of Northeastern Connecticut, USA. 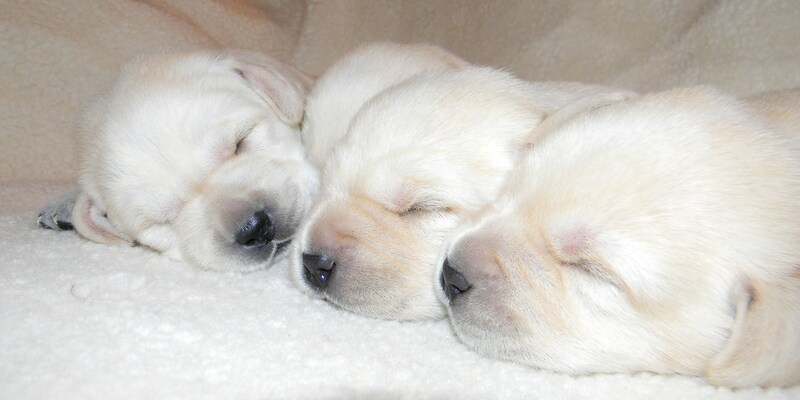 Established in the "Quiet Corner" in 1985, Greenwood Labradors strives to produce sound, healthy, even-tempered puppies. Our goal is to produce Labrador Retrievers that will catch the eye of a conformation judge, while retaining excellent hunting instinct and trainability. 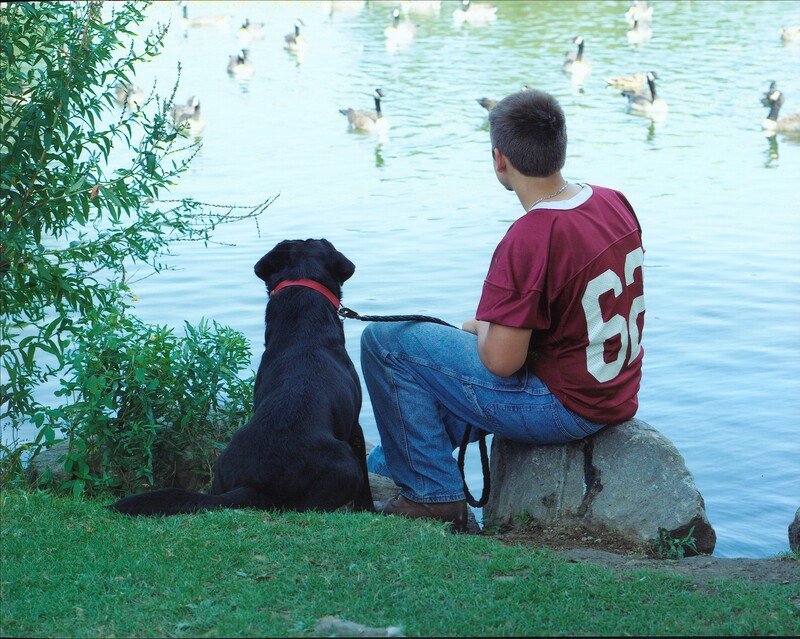 A well bred Lab should be able to put in a good day in the field and still have that wonderful Labrador temperament, which makes them a pleasurable companion in the home. "Life's too short to hunt with an ugly dog." For additional information on future litters or stud service inquiries, please visit our Puppies Available page or Our Boys page . Visit our Puppies Available page for information on our next puppies! Regarding DNA testing for genetic health issues: We live in an amazing time when many genetic health issues can be avoided due to DNA testing. New markers are being located often. Once a breeding dog is tested by DNA for a specific inheritable health issue, they can be bred safely, without the worry of reproducing that issue. Any dogs tested clear/normal will NOT reproduce the issue, no matter if their mate tests as a carrier, affected or clear. A dog shown to be a carrier can still be safely bred to a non-carrier without producing affected offspring. And...an affected dog can be bred to a non-carrier and will still only produce other carriers. No affected puppies! What an amazing time for dog breeders! As new DNA markers are found, we will continue to add new clearances for our dogs. All of our breeding dogs are DNA tested for a minimum of PRA and EIC. Other tests are done on a individual basis and as new markers are found. In addition to DNA testing, all of our breeding dogs are OFA certified free of Hip and Elbow dysplasia. All breeding dogs will have a OFA hip certification of Excellent or Good and an OFA elbow certification of Normal. For more information on health clearances, please see our links page. Please see our dogs clearances by visiting their individual pedigree pages. Copyright © 2006 -2019 Greenwood Labradors. All rights reserved. The content on this website is not public domain. Do not copy, reproduce, or download any photos or written material without permission.